It’s caused no overdose deaths. It feels like coffee and a light painkiller. Is there any reason for the FDA to crack down on kratom? Will the FDA Crack Down Harder on Kratom? 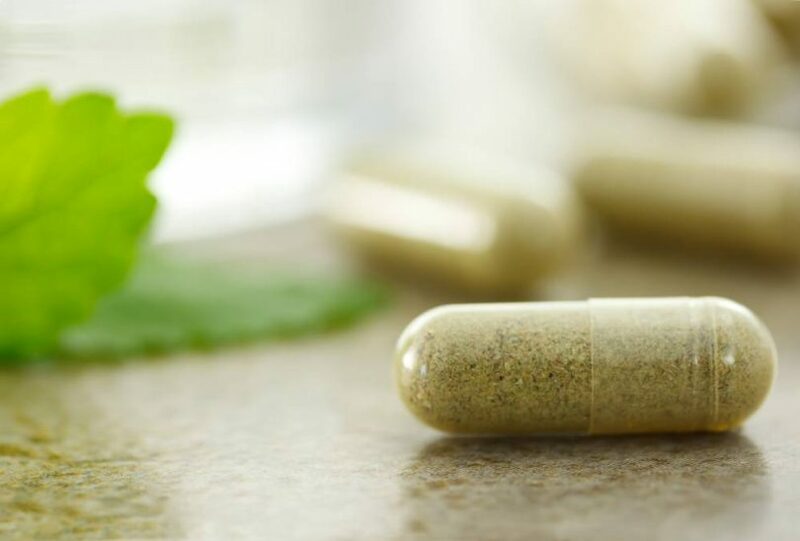 The FDA makes vague disclosures about their lack of available resources to determine the level of safety with the plant Mitragyna speciosa (kratom). But it seems that some individual states are opting for a tougher guilty-until-proven-innocent approach. The most recent legislation came on May 5. Alabama added kratom to the state’s list of Schedule 1 controlled substances. The process of determining the legality of a substance—in this case kratom—is not something most laypeople are familiar with. The FDA says they need information from the DEA. The DEA says scientific tests take time and money but if and when they have anything, they’ll surely send it along to the FDA. Each state is independent. Last February in Georgia, Rep. Bruce Broadrick brought a proposal for House Bill 783 to include plants which have no medical use and thus cannot be legally prescribed by a doctor. Travis Lowin, a member of the board of directors for the Botanical Legal Defense (BLD), was in attendance to testify in favor of keeping kratom legal. The Fix spoke with Lowin via telephone. He said, “I’ve been in the botanical industry for a decade specializing in analytics and plant pharmacology.” He further explained that during his presentation to the committee, he brought to their attention that the Georgia Poison Control from the Georgia Health and Public Safety Department has no relevant information, or any data, on kratom being an issue in the state of Georgia. “None whatsoever,” Lowin stressed. He felt his job was to make it clear that kratom is not dangerous and therefore not a threat. When The Fix contacted the FDA, Linda Meyer who covers dietary supplement issues for the agency replied to our queries via email. She would not openly discuss any scientific evidence that proves kratom is any more dangerous than the more familiar plant in its species: caffeine. Meyer stuck to quoting the FDA’s official statement. That’s where I became confused. If the FDA and the DEA are not willing to state definitively that kratom is harmful and addicting, then how were four states able to make it illegal? This leads me to believe that unless definitive studies suddenly become available, the FDA will not be making dramatic decisions any time soon. AKA’s Ash said that recently, “Vice and Alternet articles included some good info, as did an article called ‘Kratom, legal in Texas, seized in Illinois’ which reported on kratom-related issues in the DEA drug database.” She seconded what Lowin said—that every death that implicated kratom has been a result of a polydrug combo. For those fighting to keep kratom legal, what they all have in common is a desire to get all of the hype out of the way. It’s a sane suggestion: let’s lower hysteria and deal only with facts. Clearly, more research needs to be done before we’ll know if kratom is any worse than the world’s most celebrated addiction—caffeine. In the meantime, if you’d like to get involved and have your voice heard, visit the first impartial real-time legislative tracking service, LegiScan. Breakdown of current legislation in the U.S.
Florida—Legal except for Sarasota County. Legislation (HB 73 and SB 11) that would criminalize kratom is now moving through the legislative process. Alabama—Legislation passed making Kratom a Schedule 1 controlled substance. Change.org is requesting signatures on a petition to fight the bill. Georgia—(HB 783) was tabled at the Feb. 2, 2016 meeting. Illinois—Legal to adults. Legislation (HB 5526) during the 2014 legislative session make the sale of kratom to minors under 18 of age banned. Indiana—Banned. Indiana incorrectly identifies kratom as a synthetic drug and thus scheduled kratom as part of synthetic controlled substances legislation. Advocacy and education efforts are underway with the regulators and legislators of jurisdiction. Iowa—Legal. Legislation that would have criminalized kratom (HB 640 / HF 2355) was introduced and referred to the Iowa House Public Safety Committee, however, the bill was not passed. Kentucky—Legal. No known active or pending legislative action, although given its proximity to Tennessee where kratom is currently banned, advocacy and education efforts are underway with the regulators and legislators of jurisdiction to promote the continued legality in the state of Kentucky. Louisiana—Legal. that would have scheduled kratom (HB 174) was amended and specifically removed language that would have banned one of the primary alkaloids in kratom, 7-OH (hydroxymitragynine). This amendment ultimately ensured kratom’s continued legality in the state of Louisiana as of July 23. This amendment was born out of advocacy and education efforts of AKA members and kratom users across the state of Louisiana. Advocacy and education continue with the regulators and legislators of jurisdiction to thwart future legislation. Michigan—Legal. Legislation that would have scheduled kratom (HB 5707) was not passed during the 2014 legislative session. New Jersey—Legal. Assemblyman Ron Dancer introduced legislation (AB 4431) in May 2015 that would criminalize the manufacture, sale and possession of substances containing kratom. Since the bill was introduced, it was referred to the Law and Public Safety Committee. The Committee has not taken any action yet. Advocacy and education efforts are underway with the regulators and legislators of jurisdiction. New York—Legal. Assembly Member Aileen Gunther introduced legislation (A8670 and S6345) which prohibits the sale or distribution of kratom. New York is the latest state to introduce legislation that would ban kratom at a state level. Assembly Bill A8670 is sponsored by Assembly Member Aileen Gunther, and its Senate Companion Bill S6345 is sponsored by Senator David Carlucci, were introduced in January, 2016. Oklahoma —Legal. Legislation that would have scheduled kratom (HB 2666) was not passed during the 2014 legislative session. Tennessee—Banned. Tennessee defines kratom, Mitragyna speciose, as a controlled substance (Pub. Ch. No. 161). Advocacy and education efforts are underway with the regulators and legislators of jurisdiction. Vermont—Banned. Vermont classifies one of the primary alkaloids in kratom, 7-OH (hydroxymitragynine), as a regulated drug (Title 18 V.S.A. § 4205), effectively banning kratom in the state of Vermont. Advocacy and education efforts are underway with the regulators and legislators of jurisdiction. Wisconsin—Banned. Wisconsin classified the primary alkaloids in kratom, mitragynine and 7-OH (hydroxymitragynine), as Schedule I (Wis. Stat. § 961.14), effectively banning kratom in the state of Wisconsin. Advocacy and education efforts are underway with the regulators and legislators of jurisdiction. The “beach-house-relaxed” Cliffside Malibu claims to provide an oasis for recovering addicts and alcoholics. And that’s just what you’ll get—if you’ve got the cash. This Arizona rehab prescribes high doses of AA meetings and backpacking for young guys who not only need to get sober, but also learn the basics (think cooking and cleaning) of living in the real world. This exclusive Northern California rehab is all about client choice—as well as golf outings, Buddhist field trips and keeping up with the office. An alternative to 12-step programs, Gulf Breeze Recovery offers panoramic ocean views in a caring and therapeutic environment. Housing up to 26 residential guests, this luxury facility offers a choice of semi-private or private rooms with or without ocean views. Highly rated by their teen clients and their families, Paradigm Malibu offers programs for a really wide range of adolescent disorders including: depression, anxiety, personality disorders, substance abuse, behavioral addictions, and eating disorders. This SoCal rehab fosters a regimented but respectful recovery environment, where teens learn how to live sober through plenty of 12-step meetings and life-skills classes—not to mention “equine-assisted psychotherapy” and mixed martial arts. If you’re not sold on the 12 Steps, this upscale six-person rehab, opened in July 2011, might be the one for you. This 12-step based non-profit Tennessee facility for men offers meetings, groups, camaraderie, and boasts an impressive success rate. What you need to know when choosing an addiction treatment center. i am so tired of the fda and their worthless fight on kratom. We need to unite as a community and fight back.